Even though unemployment is currently at a historically low rate, most would not describe the American economy as “booming.” So, it isn’t surprising that many companies and even some private institutions like universities and hospitals are offering early retirement packages as a way of replacing long-term, higher-paid employees with newer, lower-compensated personnel. The motivation for the company is obvious: reduce payroll costs while offering a financial incentive to long-time employees. But are the benefits to the employees so obvious? To be clear, many people who have reached a certain point in their careers are very happy to have the opportunities presented by an early retirement offer. But you should not simply jump at whatever offer your employer puts on the table. Several important questions come into play, and before you sign on the dotted line you should carefully consider the implications. Here are a few of the questions you should ask about an early retirement plan presented by your employer. What is the severance package? 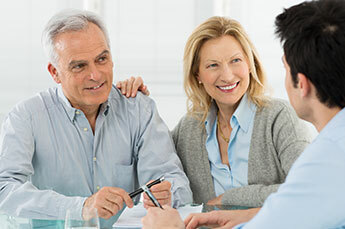 Most early retirement plans contain a severance provision, whereby the retiree receives a certain amount of pre-separation salary, usually based on years of service. You should carefully note both the amount you would receive and the way it will be paid to you. Is the overall amount sufficient to allow you to make a smooth transition? Will it be paid weekly, monthly, or in a lump sum? This last is especially important, because a lump-sum payment, while it could be invested to provide continuing income or used to pay large, one-time expenses, could also subject you to a big tax bill in the year you receive the money. On the other hand, weekly or monthly payments might allow you to continue your accustomed lifestyle for a period of time, but might not allow you to set anything aside for savings or investment. If you have a pension plan, how does the retirement plan affect it? Many employees receiving early retirement offers—especially those who work for public educational institutions—also participate in some sort of pension plan. Often, pension plan payouts are calculated based on a certain number of years’ average salary. If you retire early, you are likely foregoing a number of years of pay that would have significantly bumped up your average, and once you start receiving pension income, there’s usually no going back. Is the tradeoff worth it? Does the retirement package offer some sort of “catch-up” provision to compensate for the pension benefits you are giving up? Are any company benefits still available? Health insurance is one of the most important benefits many employees receive from their employers. Will this still be available to you if you accept the retirement plan? If not, will your income from all available sources permit you to pay these costs on your own? Group life insurance, usually available at very low cost, is another important benefit of working for many companies. Will you still be covered after you take your offer? Are any of these benefits available for low-cost conversion to some sort of individual plan? Will your post-retirement income be enough? This is probably the biggest question of all. Be sure you do the math, and include all retirement income for which you are eligible: Social Security, pension, income from any IRA or 401K plans, and other sources. Is the total amount sufficient to maintain a comfortable lifestyle? The human resources department at your employer can help you work through these questions and get the answers that are right for you. Also, a qualified financial professional can provide assistance, help with calculations, and work with you to make sure you’ve considered carefully how the retirement offer will affect your particular situation.